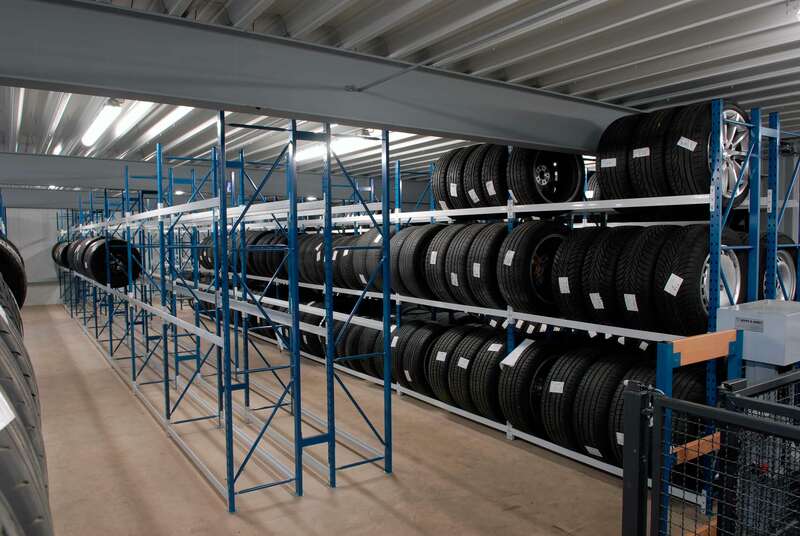 We provided a solution for storing new tyres and keeping summer and winter tyres in storage. 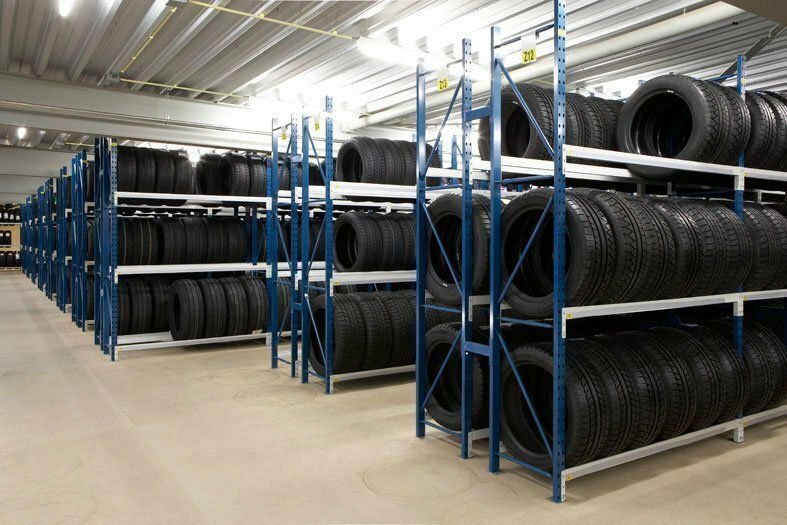 Our customer needed a solution to maximize the use of available floor space so he could have his workshop, as well as the tyre storage in his warehouse. 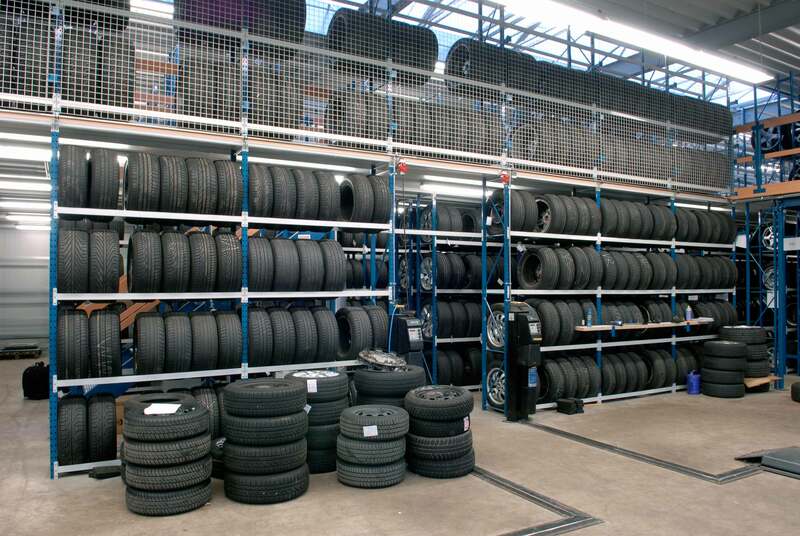 Not only did he need space to store new tyres, but he also needed extra room to keep winter tyres, complete with rims, in storage during the summer months. And vice versa in winter time. 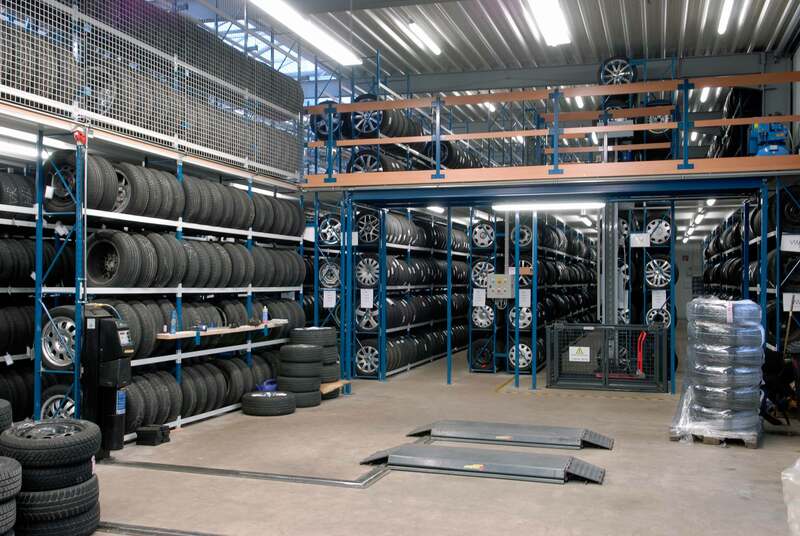 They also needed a safe and easy way to get the tyres to and from the second floor without the need for a forklift truck. 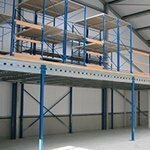 To safeguard the required room for workspace and ensure enough storage space, we opted for a mezzanine floor. 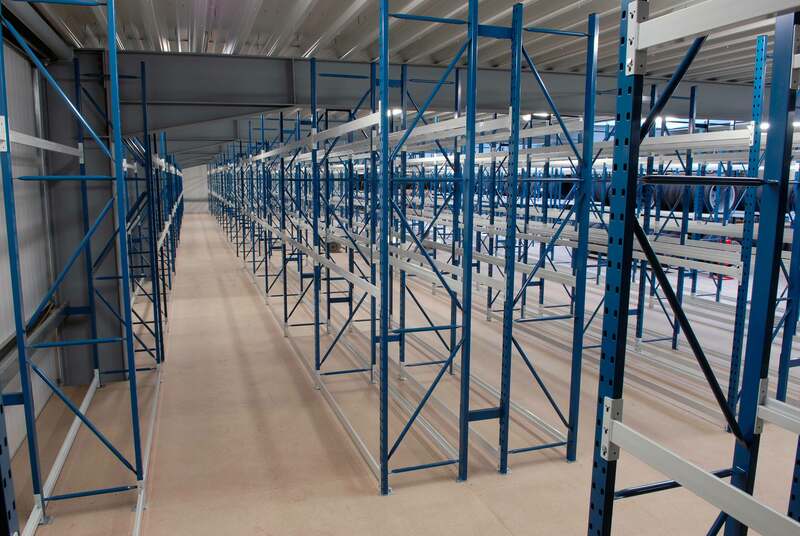 Since floor space was the limiting factor, by adding a mezzanine floor on top of the first layer of tyre racking, we essentially doubled his available storage space, and made better use of the available volume of the warehouse. 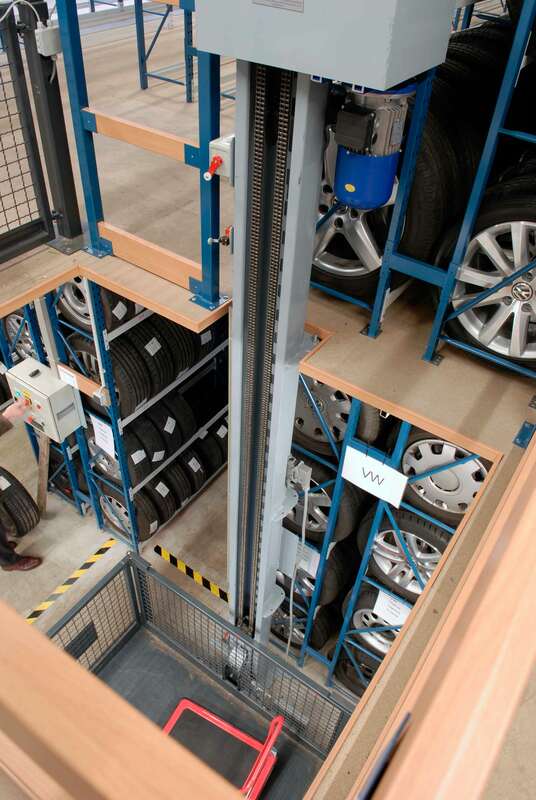 To easily bring the tyres up and down from the mezzanine floor, we provided a tyre lift. 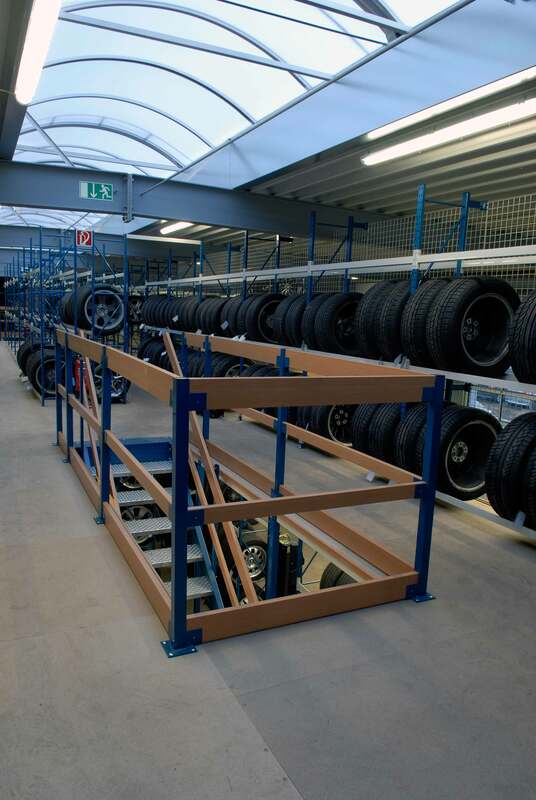 This enables the workers to easily bring the tyres to the second floor and in to the tyre racking placed there. All this without the need for a forklift truck. 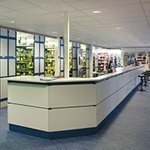 This project gives you an impression of what we can do for you. 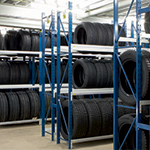 Do you have a challenge in the field of warehouse equipment? 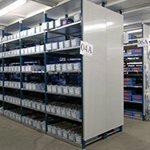 Let us surprise you with a storage solution!